Wow, a highly polished Vintage “Martini Lounge” on wheels!!! 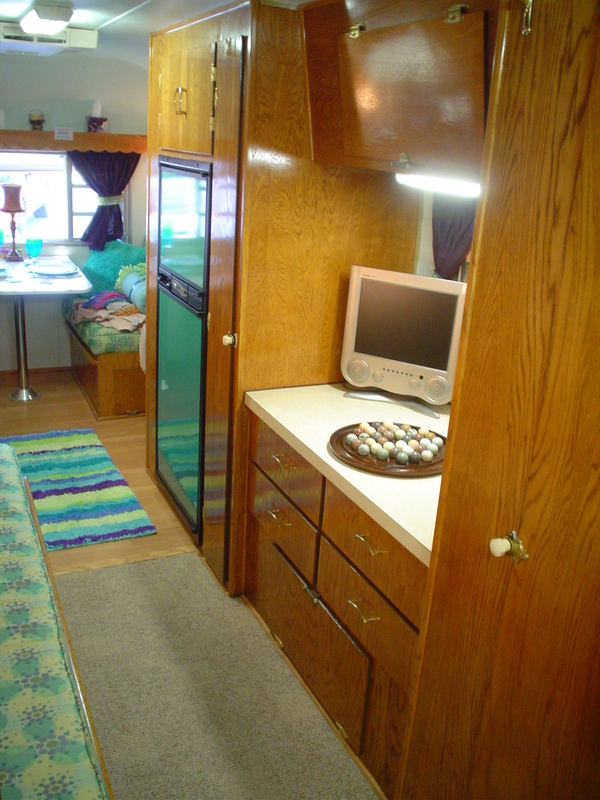 This vintage Airstream boasts new oak cabinets, new sub-floor, new, new, new everything! And no, I did not throw away the old stove, GASP! The original 1958 working “Princess” stove is ready to go to cook your next camping, dining experience! And how about the carpet ……. original 50-year-old “New Old Stock” casino carpeting. Does the word “100% wool” mean anything to you? I am told by my carpet guy this would cost at least $250 / sq. yard if made today. Add the custom 1950’s FULL bathroom (shower, sink, toilet) and the twin bed separate from the front couch and you have fun, fun, fun!!! 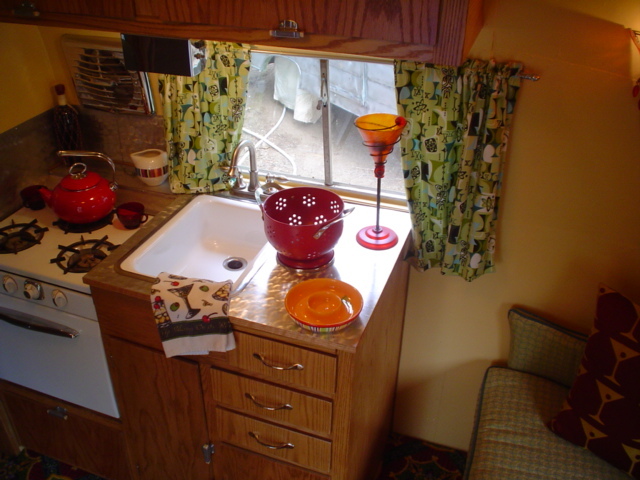 WITH shower / tub / toilet / 3 sinks, double bed and new EVERYTHING while at the same time keeping the original 1966 look and appeal. This is a BEAUTIFUL restored TOTALLY self-contained vintage trailer. The entire trailer, both systems and aesthetics, have been meticulously cared for. Most of the original vintage parts were either restored or improved. All the modern conveniences have been added and also hidden without destroying the vintage theme. This was a two-year restoration with thousands of hours involved. 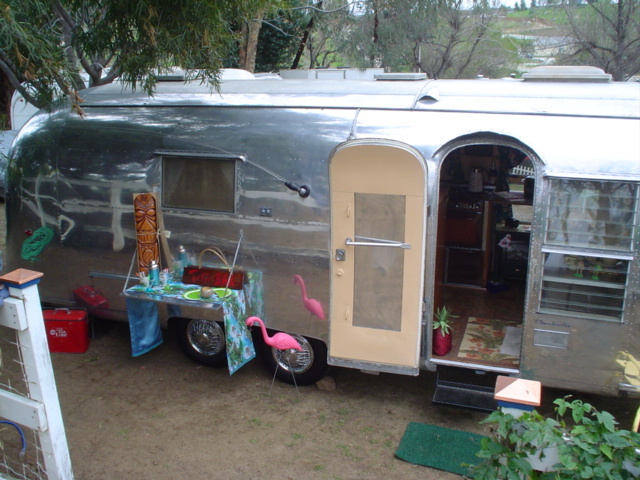 1961 Vintage Airstream Overlander 26' RESTORED in Vintage Hawaiian theme WITH full bathroom including tub. Notice the VERY cool, outside, fold down table for all those future Mai Tai's and umbrella drinks!!! 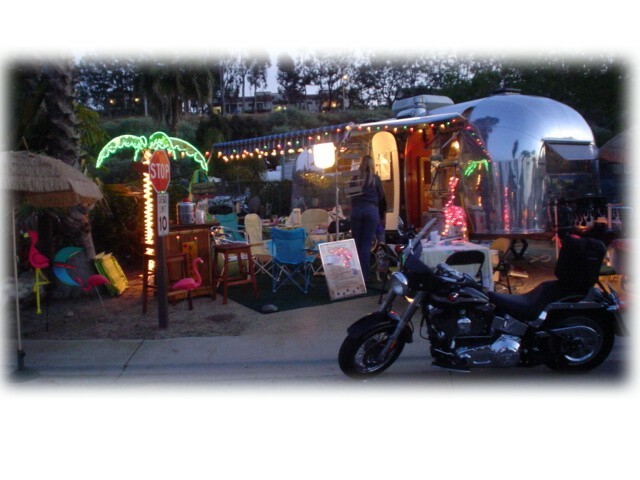 All original 24' VERY retro and VERY rare travel trailer in awesome original shape. Riveted aluminum trailer with beautiful original interior wood. There is virtually no wear on the inside or the outside. It just sat for 51 years!!!! There is NO inside wood damage due to rain leaks!! Doug Keister also featured it in a 4-page spread in the Silver Palaces Trailer Book. 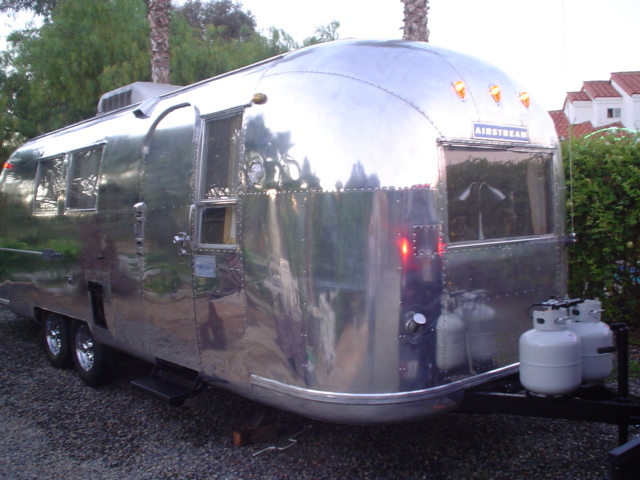 1958 Vintage Airstream Cruiser 26' (fully restored to correct period) with FULL bathroom including tub. As seen numerous times on the Travel Channel. 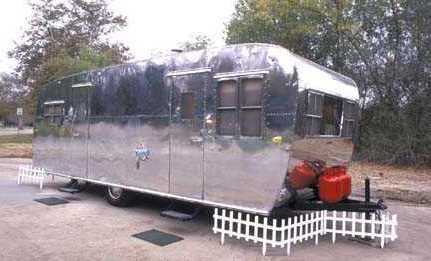 This vintage and period correct Airstream is ready to roll.